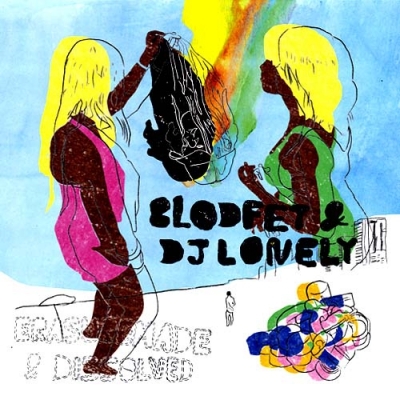 Blodfet & DJ Lonely is a one-headed musical duo by Swedish born Amsterdam based artist, DJ, musician, curator, art teacher and globetrotter Jonas Ohlsson. He started to make electronic music back in 1988 with Kai Parviainen (Enema Syringe) in Enema & Gejonte, and released his solo debut as Blodfet & DJ Lonely on Börft records with the Ride the Dysfunctional Beat LP in 2003. In life, art and music Jonas Ohlsson is a remixer of paradigms. He misplaces patterns to generate improper bliss and sudden clairvoyance. His sounds rummage in upper & lower music traditions, from musique concrète through favela bootie beat, industrial noise and synth pop. From a musical unconscious, Erasuremade & Dissolved tells naked meta-stories, fueled by black belt irony lyrics and a Nordic Light euphoria. The idea to release a new Blodfet & DJ Lonely first appeared during an informal residency of Jonas Ohlsson the D.A.S. Rooms in Berlin. For 3 weeks we lived together, playing gigs and making studio recordings. Before meeting Jonas we knew his music, but the residency sealed the decision to release our first LP on vinyl. a2 Synth won...Oasis & Heavy Metal are gone!